Twin Stick Roguelike Beacon Arrives for Early Access Later This Month | Nerd Much? From the little bit of footage we get in this first Beacon trailer, it’s clear that fast and frenetic are appropriate adjectives. As you take down your alien foes, you’ll collect their DNA which you can later use as currency of sorts to upgrade your character’s abilities. “Beacon follows the journey of space privateer, Freja Akiyama, on her endless search for her crashed ship’s emergency distress beacon. In your search you’ll not only find weapons and items to help you; you’ll also be collecting DNA from the enemies you defeat. When you inevitably die, you’re given the opportunity to integrate the DNA you’ve collected into your genome, allowing you to alter your statistics and gain gameplay-altering physical mutations for your next clone’s life. Beacon will launch on Steam Early Access on February 27th for $19.99. Monothetic also released a roadmap which details their plans for Beacon once it enters Early Access on Steam. The developer plan to release content patches every three to five weeks for the game. These will both fix lingering issues with the early build as well as implement new features. You can read over Monothetic’s roadmap document here. 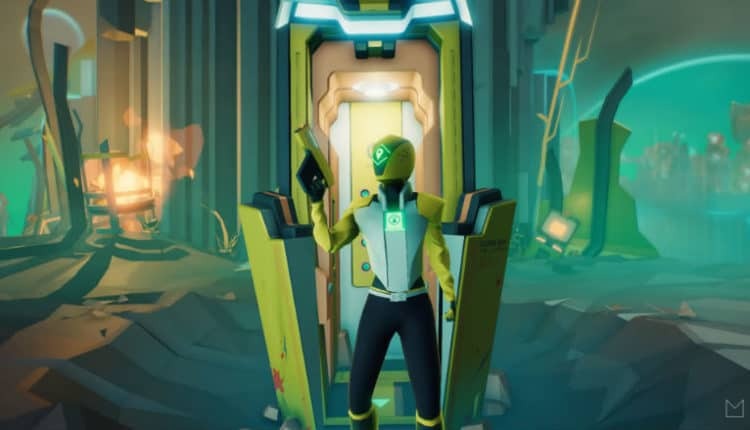 The team states that should they meet all of their deadlines, Beacon should be ready to roll out with a full release by summer or fall of this year. But for now, they’re just focused on bringing the title to Steam on February 27th. Want more indie games to check out? Take a look at our mega list of the 25 best upcoming indie games coming in 2019.